Never did I ever think I’d fall so deeply in love with a pair of pleather shorts. I’ve worn these babies no less than 10 times since buying them the weekend before Thanksgiving (actually, getting them for free with Kohl’s cash; #winning). In fact — beginning on Thanksgiving Day — I shamelessly donned them three days in a row. They just may be one of the most versatile things in my closet right now. And they lighten the disappointment that it’s December and I’m bare-legged and sweating in my black twinset cardigan. Katie, you forgot to leave me a way to contact you! Oops! Please shoot me an email by Friday with your shipping information. If I don’t hear from you, we’ll have to draw another winner. 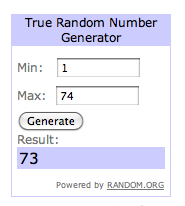 Thanks for entering everyone! You look like you just walked off the pages of a fashion magazine…. its just perfect. I liked those when I saw them but didn’t buy because I thought they would look horrid on me…they look so cute on you! I love LC’s line. This entry is a wonderful reminder of why I need to move back to Florida, so I can also wear shorts with bear legs in December :-) Those shorts are lovely. I have to check my local Kohl’s. Lovely outfit, as always. Btw, I ended up finding the utilitarian Decree jacket at JCP. $19.99 – $15 off coupon = $4.99 #winning! I have been lusting after shorts like that…absolutely love them on you and how you paired them with the striped cardi! Kohl’s huh….who woulda thought! Wow, I must say I never considered pleather before, but these do look lovely! Those shorts are SO CUTE. Leather shorts, especially in that color, are surprisingly versatile, I think. I need a pair! love the classic striped cardigan; such a staple, it goes with everything. i end up living in pieces like that! Those shorts are so cute! I’d never think to purchase leather shorts, but those look so fab on you! I bought the SAME shorts and I am so obsessed as well, but haven’t had the chance to wear them yet!! I also own those pleather shorts and I love them. Such a great addition to my wardrobe! Those are adorable. I would never have thought I would like those =D but they’re cute as can be! How could you ever get enough of those shorts they are superb! Love the cute cardi! I am currently on a shopping ban. But . . . I have been wanting leather shorts forever and I have some Kohl’s cash from Christmas shopping. This should be allowed no? I LOVE these shorts! You look great! A coworker of mine has been lusting after these very shorts! I sent her a link so she can drool at them/you. I love those shorts, and heels. Goodness that’s a cute outfit! Come enter my Shabby Apple dress giveaway just in time for holiday parties season! Those shorts look so cute on you!!! Love it! Ugh, I have been wanting those. Jealous!